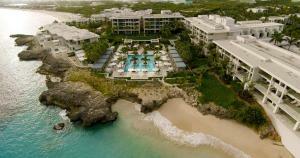 Four Seasons Resort and Residence Anguilla is located 200 yards from the beach on the Caribbean Sea and next to Meads Bay Pond. It features a furnished terrace with 3 swimming pools and free WiFi. The air-conditioned rooms offer a modern-style décor with a seating area, flat-screen cable TV, a minibar and a balcony with ocean views. 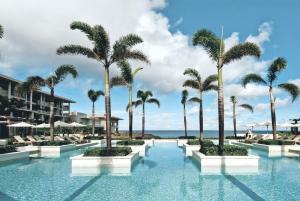 The guests at Four Seasons Resort and Residence Anguilla can enjoy Asian and Mediterranean cuisine as well as seafood and Antillean street food. A water play area for children, spa, yoga and fitness are activities that guests can use. 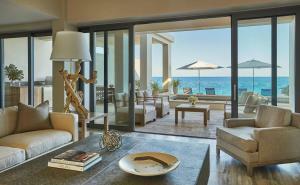 Three championship tennis court, scuba diving and snorkelling tours are also an option. 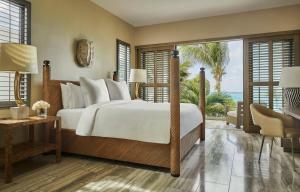 This resort is 5 miles from St. Marteen island and 19.9 miles from St. Barths. Clayton J. Lloyd International Airport is a 15-minute drive away.